Midokura’s award-winning Midokura Enterprise Management (MEM) technology provides a software layer directly within existing physical network hardware, turning physical machines into a virtual platform that can scale to hundreds of thousands of virtual ports. 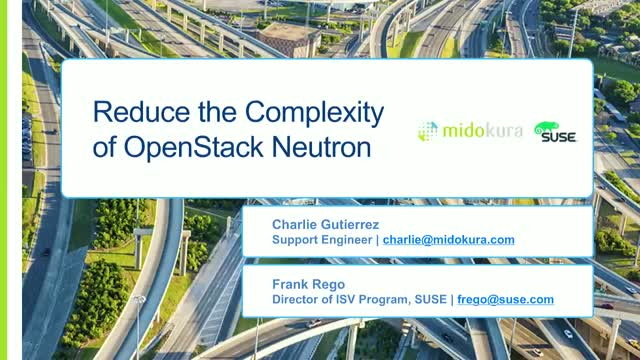 The MidoNet integration with SUSE OpenStack Cloud provides an integrated solution for rapid OpenStack deployment. Now, customers can enjoy the very best possible deployment experience with leading technology from Midokura and SUSE, built to scale right out of the box.